Third Stop on our brother and sister tour and time for a new country: Cambodia! 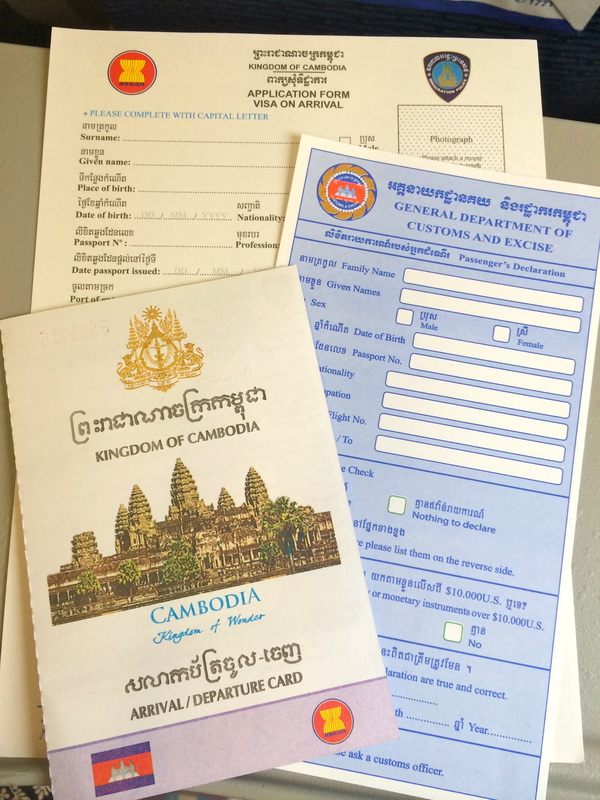 After filling in what seemed like pages and pages of immigration forms and a short drive from Siem Reap airport, we arrived. Our hotel was basic but in a great location on the other side of the river from the main area of restaurants and bars, which meant it was more peaceful and quiet at night. I’m not going to share the hotel name, as shortly after we stayed there (and had a wonderful experience), the hotel was bought by a large Malaysian hotel chain and has been receiving terrible reviews ever since. So unfortunately I no longer wish to recommend it. However, with the increase in tourism, many more lovely hotels have popped up in Siem Reap so you’re now spoilt for choice! Before heading straight to the main attraction of Angkor Wat, we wanted to get a feel for the country and see how it differed from neighbouring Thailand, where we had just spent a week. 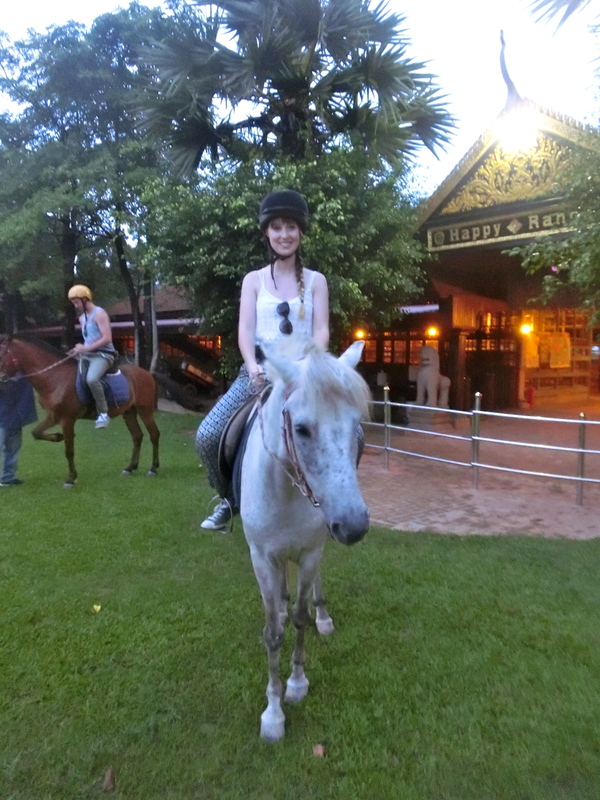 On our first morning, we headed to the Happy Ranch Horse Farm for a sunrise trail ride. 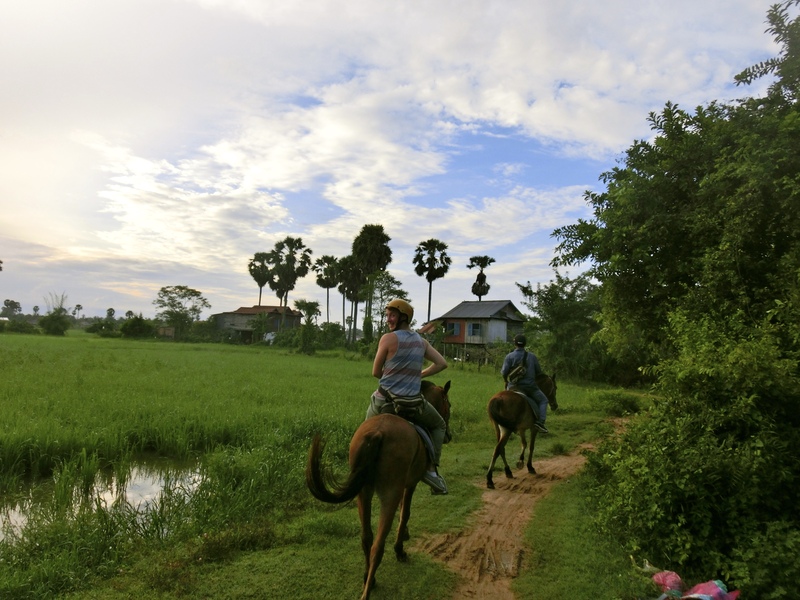 This gave us an incredible introduction to the towns, countryside and some local temples – our guide was fantastic and made sure we saw the “real” Cambodia as we trotted through Khmer villages and rice paddies. The horses were extremely well cared for and were well-trained school ponies that were easy to ride. After our morning horse ride, we spent the afternoon in the Angkor National Museum – I would highly recommend that you pay this museum a visit before you head off to Angkor Wat (unless you’re already a history buff) as it helps to explain the rich historical and religious background to the temple complex and surrounding areas. For the following two days, we hired a tuk tuk driver through our hotel for the standard 2-day Angkor tour that includes both the “small circuit” and the “grand circuit”. We paid the extra to include a very early morning start on one day to try to see the sunrise from behind the main temple of Angkor Wat, but unfortunately the clouds rolled in as we were driving there and we ended up just standing in the rain until it got light. My advice would be to not make the same mistake we did and check the weather report before! 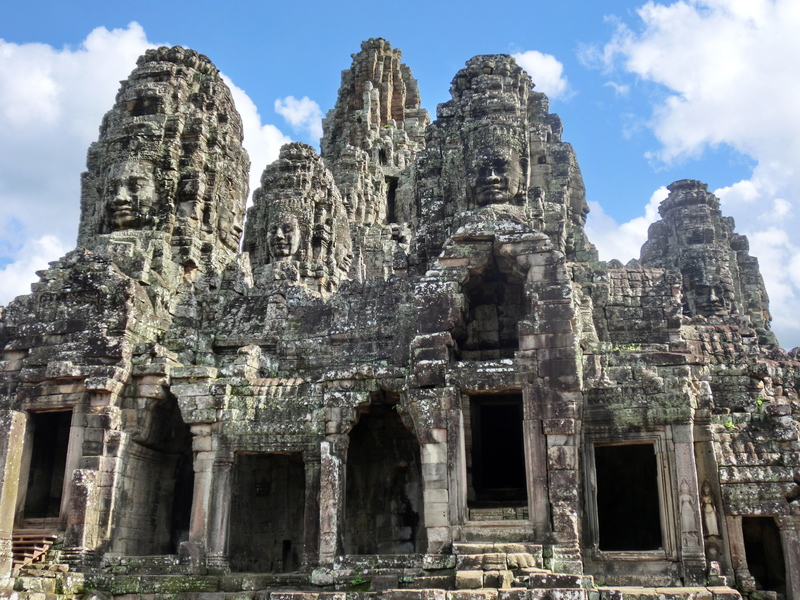 The temples of Angkor are truly incredible. You feel like a real-life Indiana Jones as you walk over twisting tree roots; it really does feel like you’re in a movie set at times, it’s just that amazing. After exhausting yourself climbing up countless steps and clambering over rocks and roots, we were ready for some serious food. The main area around “Pub Street” has many restaurants to choose from, with local Cambodian cuisine, other SE Asian and Western tastes all catered for. After multiple days of eating only local Asian food, we cracked, and went to Il Forno for what was one of the best pizzas I’ve ever eaten! Another night, we tried the “Khmer BBQ” that is on offer at most places and were not disappointed with the quality and quantity of the food that we could grill ourselves at our table. 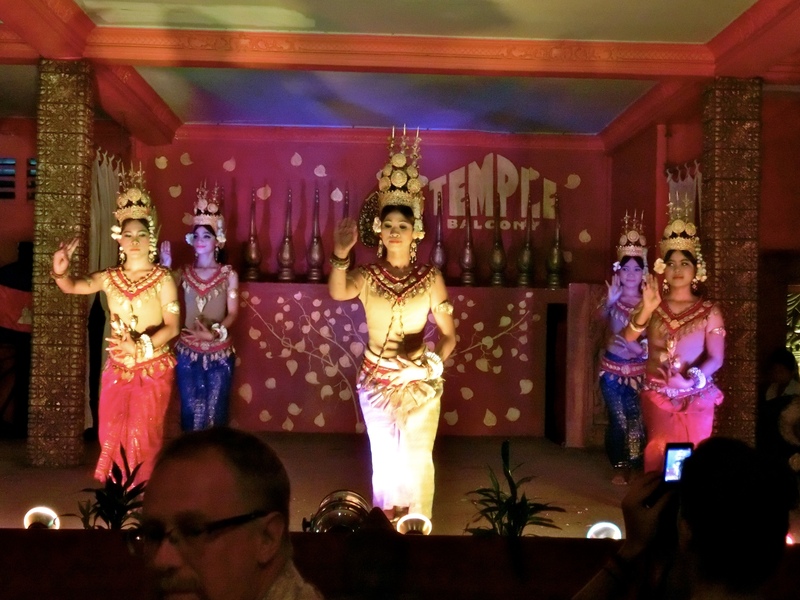 For dinner plus entertainment, Temple Club offers a free performance of Cambodian Apsara Dance from 7:30pm every night. The food and drinks are a little pricier here, but their Khmer curries were well presented and very tasty, and it was worth it to watch the dance performance. On our final day, we had a few hours to kill before our flight so decided to visit the War Museum. This proved to be one of the most fascinating and poignant parts of our trip. 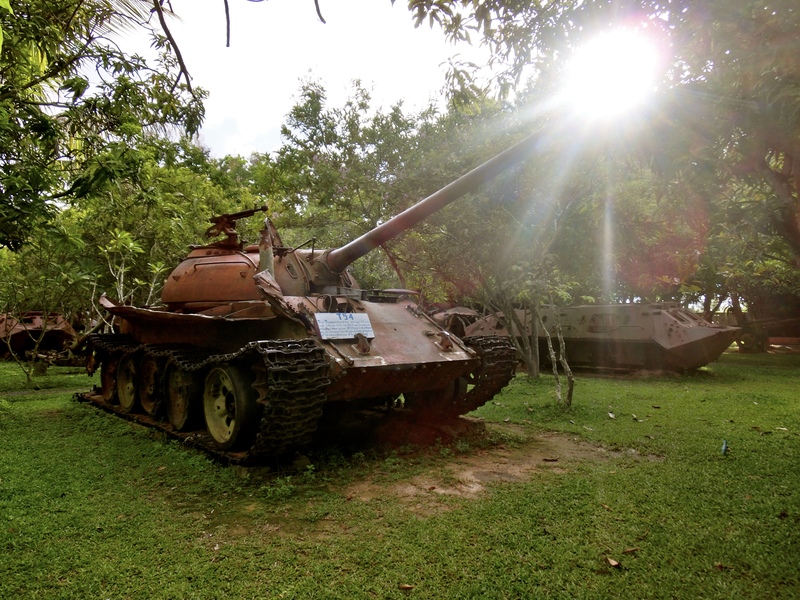 Almost entirely outdoors and consisting of exhibits of weapons, tanks and other military hardware, this museum has a very unique approach to showing visitors around: you are guided by veterans who are landmine victims. Their ability to give first hand accounts of Cambodian history and to highlight the human element of war is something that I will never forget. How to get there: there are many daily international flights into Siem Reap airport. Arrange a driver through your hotel to pick you up from the airport so as not to fall foul of touts when you arrive. Once in Siem Reap, it’s very easy to walk around or hire tuk tuks if you’re tired. For tours of Angkor Wat, hire a tuk tuk driver in advance through your hotel (there should be a set price for each “circuit”). 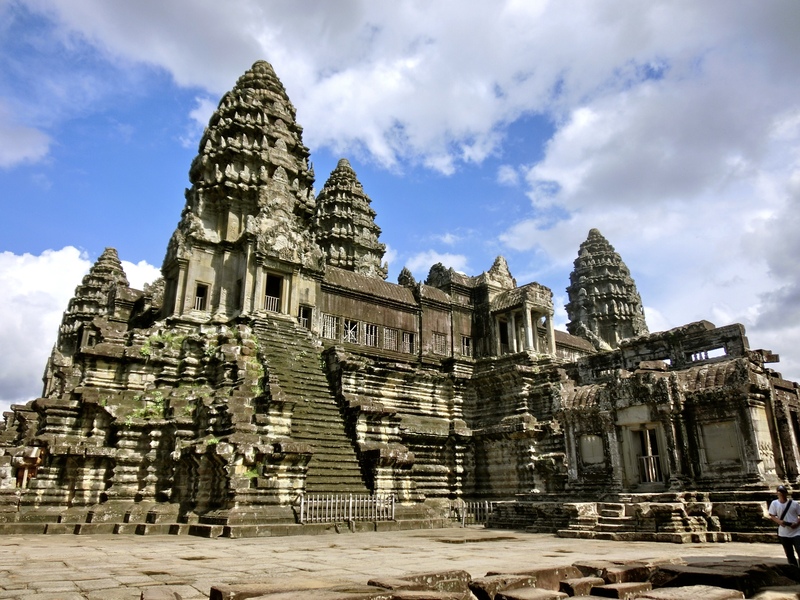 Holly’s top tip: visit the Angkor National Museum before you visit the temple complex at Angkor Wat to learn about the historical and religious significance of the site. Thanks for so many thoughts! Preparing a visit early next year.